Treatments with a special touch. All Dr. Hauschka facial treatments begin with a footbath. Like many of our customs, this is not the norm. Yet we find it helps people to get out of their busy heads and find peace of mind, body and self. 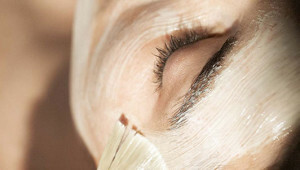 Our various treatments employ not only soft hands, but also delicate brushes. Dr. Hauschka estheticians use products carefully tailored to your skin to impart the knowledge gained from Elisabeth Sigmund: how to use deep relaxation and effective stimuli to reveal the skin’s natural inner beauty. Such tranquillity. No moving back and forth around you. No music. Simply this attention. Undivided. With hands that pay heed to people’s boundaries and yet still caress with deep-acting effect. Most people go to the gym to get their body into shape, but who actually exercises their face muscles? 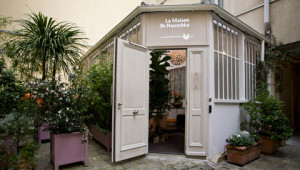 Search here for a certified Dr. Hauschka esthetician in Germany.